A new day, another adventure, what could be a better feeling? I always try to wake up and with a positive mindset for the day ahead; no snoozing, it’s all about a get up and go mental attitude for the day (much to the annoyance of my partner). Today was going to be a good day, I’m a big fan of the outdoors and we had a family day out planned as we do every few weekends. 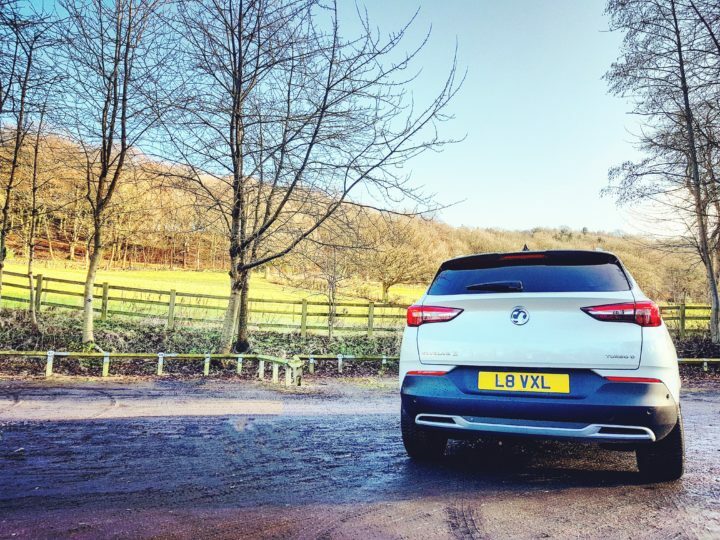 Today we were testing out the new Vauxhall Grandland X SUV model; today was going to be just a little more grand. All set for the start of a wonderful weekend we headed out to the Grandland X. When looking after a family it’s little things that can make a difference and make life that little bit easier. 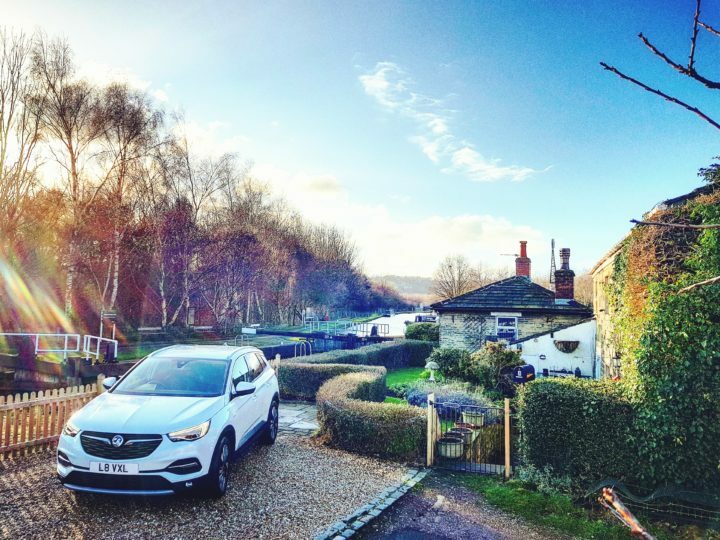 A smooth and efficient getaway is always the aim and the remote locking on the Grandland X made things so simple. 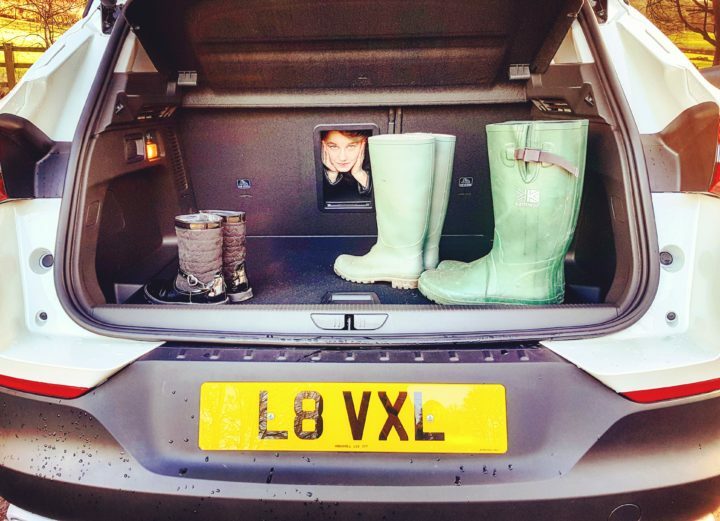 Packing up the car with our wellies was also a breeze with 1,652 litres of boot space, I was able to open and close the boot in a doddle with a brush of my foot on the power tailgate. 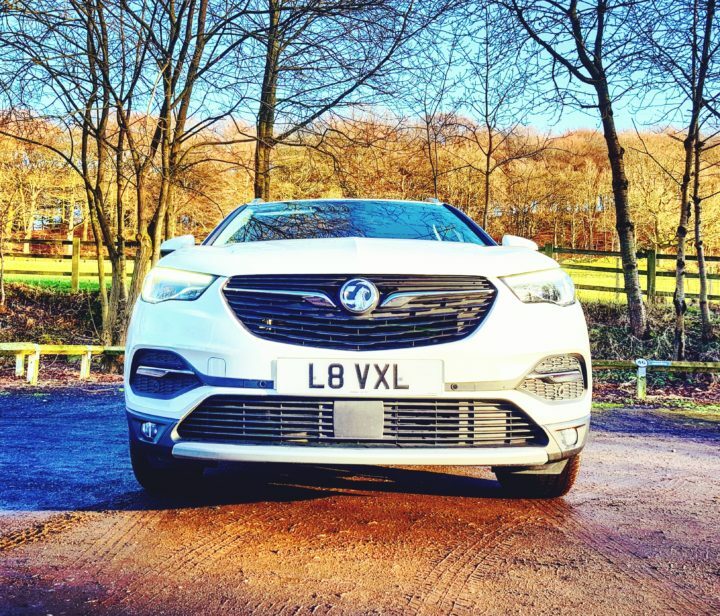 The Grandland X felt special from the moment I got behind the wheel. It immediately gave me a lift, stepping into the driver seats’ empowering position where I was able to see things from a new perspective. With all the tech at my disposal I was filled with confidence for the day ahead. After making sure everyone was comfortable and happy within our new spacious surroundings and a quiet grunt of approval from Olivia, (thoroughly engrossed in her tablet) we were ready to go. A real childhood spot for me, I often take Olivia down to the canal to watch the boats drift on by. My grandparents recently moved into a cottage alongside the canal which provides a perfect opportunity to visit family, grab a coffee and watch life go by in harmony with the passing canal boats. 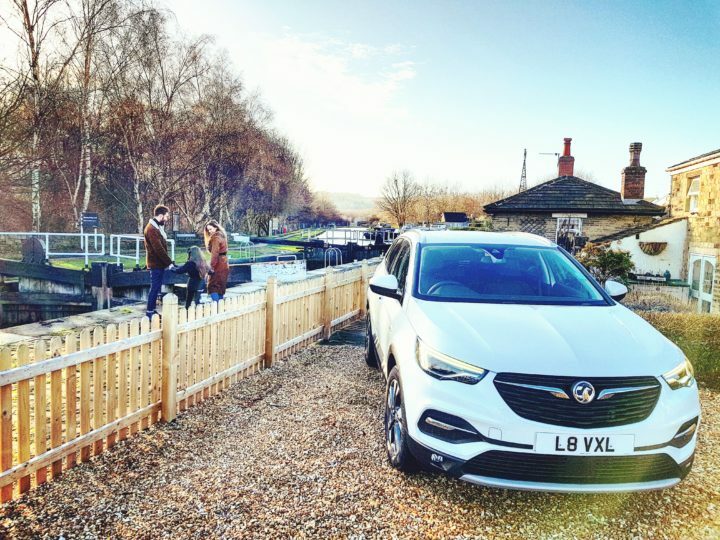 Now, travelling down the tight windy roads that lead to the canal can be quite tricky; along with a certain amount of driving skill, it always helps to have a few modern conveniences on the go to assist you along the way. 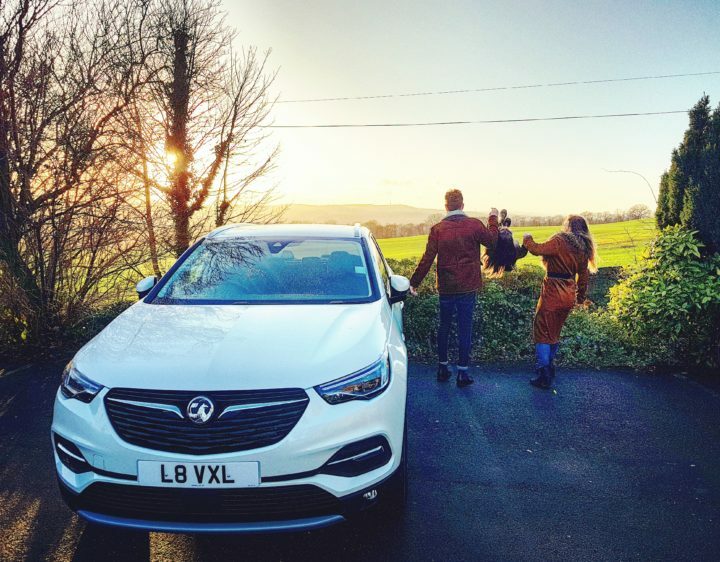 The Grandland X’s 360-degree camera and reverse sensors really stepped up here and allowed me to execute my manoeuvres with ease. Continuing on our weekend adventure, we pulled up to the rolling green hills that bordered the woodlands I had visited many times as a boy. I love sharing memories with my family and this was the perfect day to introduce Olivia to a place I used to explore when I was her age. 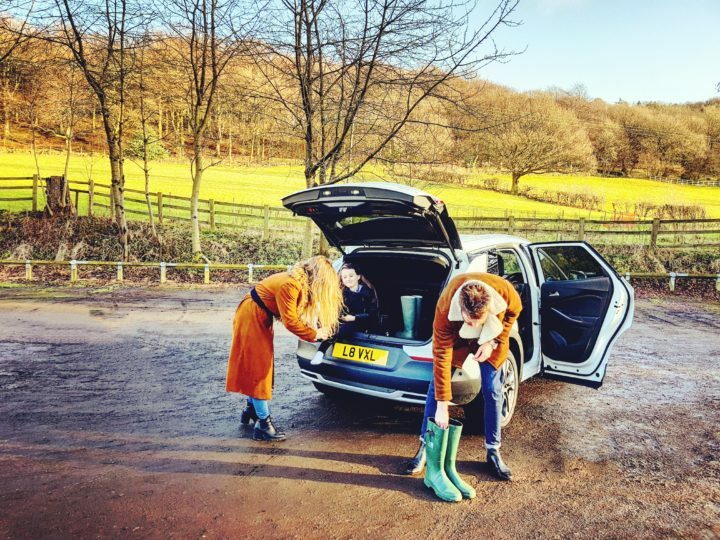 Again, the functionality of the Grandland X really shone as the boot opened with minimal effort for us to throw on our wellies ready for the big adventure. Olivia was more than impressed with her discovery of a secret hatch that lead to the boot and the outside world! Olivia was feeling a little cold (and us a little exhausted) so we headed back to the car to warm up after our woodland adventure. The heated seats, not limited to just the front of the car like many modern vehicles, but also in the rear were a real crowd pleaser. An ideal feature to keep the whole family happy (and warm!). After a long walk in the crisp winter air we had worked up quite the appetite! I was looking for a nice bite to eat somewhere not too far from the woods. 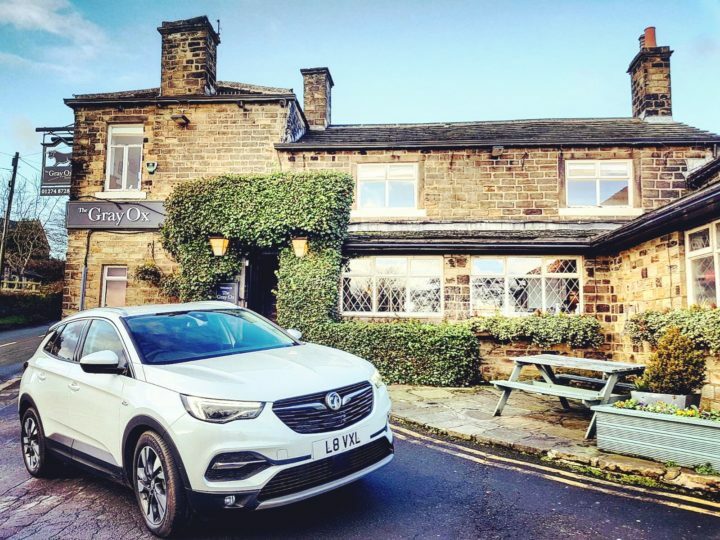 With our suave new family chariot at our disposal, I was feeling bold and thought we’d try somewhere new and a little bit more exciting than your average fish and chip shop – the Grandland X helped me do just that. I linked up my Samsung S8 to the Android auto system and consulted the incredibly easy to use OnStar interface. With the assistance of Destination Download and the essential blessing from our little fusspot Olivia, off we went to a cosy country gastropub. 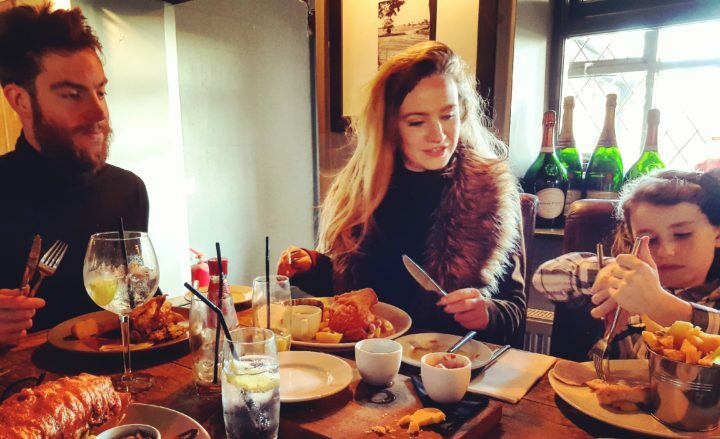 With our tummies full of gorgeous homely food and an open fire crackling in the background, I realised at this point my earlier predictions of a great day had more than come true. With winter making its inevitable move, the day began to draw to a close. A lengthy drive ahead, the USB port accessible to the rear seats saved us from a near-death experience (…the battery life on Olivia’s tablet that is!). 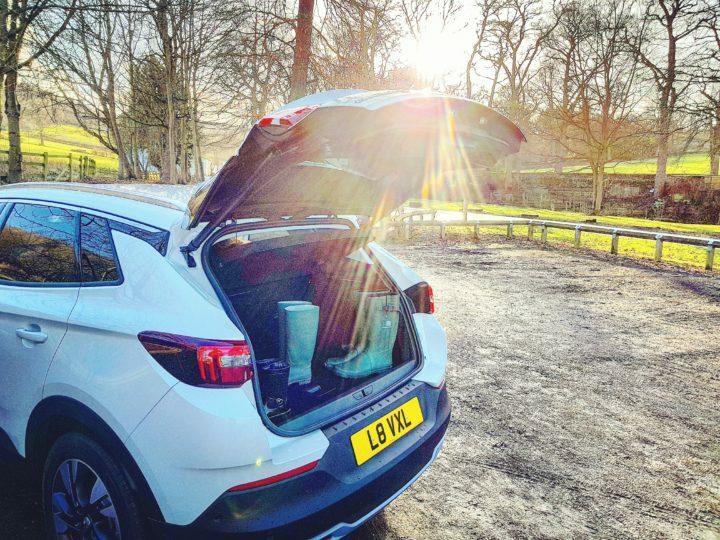 Charging points are an essential feature to any modern day family car as we all know the difference between a child with on board entertainment and one without! Luckily, (for both her and us!) we were able to plug Olivia’s tablet in to charge and off we went. 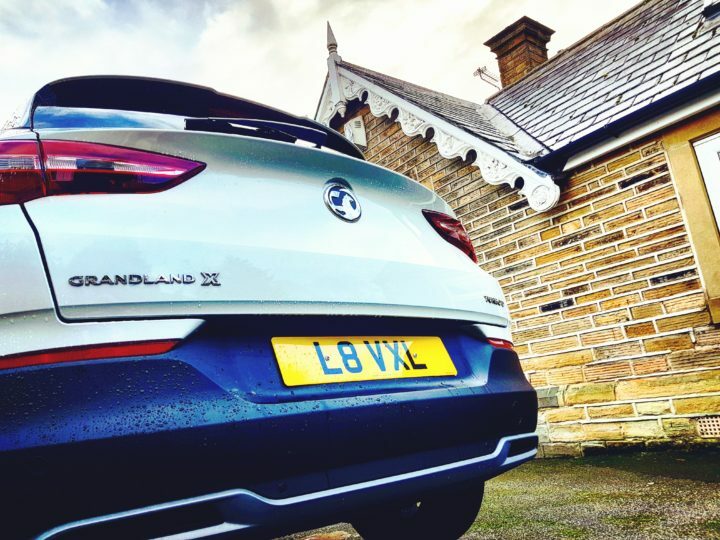 Driving home, I knew that the Grandland X put me at a physically higher driving position than other cars but I couldn’t help but feel it was more than that; it gave me a greater sense of confidence and a boost that made driving more exciting than in your average family car. It was then I found a spot to watch the sun set on what had been a great day with my family. Spectacular! Vauxhall really have raised the bar with this new model. This brilliant SUV inspired me and my family to go about our activities in a truly grand manner. The fantastic tech offerings, together with it’s stylish design and empowering driving position genuinely made me feel more grand as I spent quality time with my loved ones. 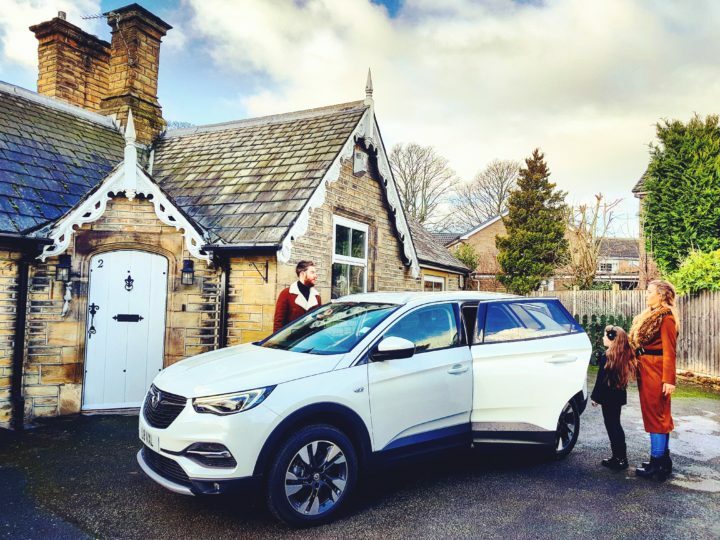 The Grandland X really does make life just a little more grand! 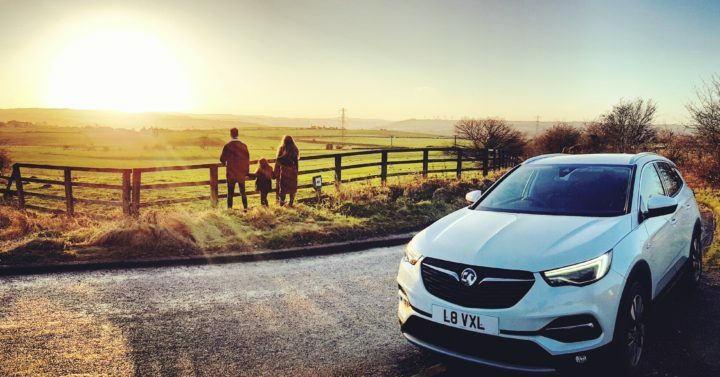 Make your life just a little more grand and check out the Grandland X here.